Mayor Rahm Emanuel announces the completion of a draft consent decree for reform of the Chicago Police Department alongside Chicago Police Supt. Eddie Johnson on July 27, 2018. In a fairly brief, but comprehensive section, Judge Dow dispensed with the biggest barrier to the consent decree: opposition from the Fraternal Order of Police, the union that represents rank-and-file officers. Although he had already denied the union’s motion to intervene—as had the 7th Circuit Court of Appeals—Judge Dow revisited and rebutted the union’s argument that the consent decree would interfere with their collective bargaining rights. Lest anyone think the consent decree means Chicago will stop paying out tens of millions of dollars per year for police misconduct, though, Judge Dow also cited a study with the somewhat disappointing finding that consent decrees “may contribute to a modest reduction” in civil rights lawsuits. 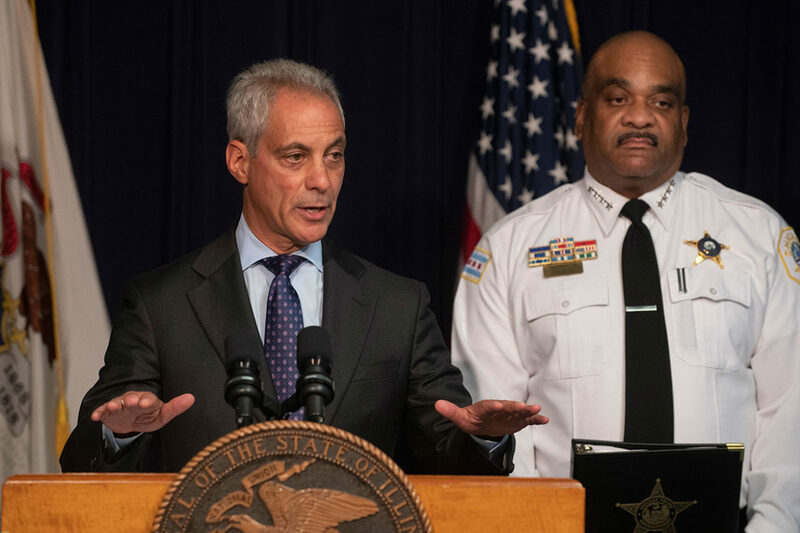 Even so, this is a crucial step forward—though far from the end—of this latest round of police reform, which began with the release of the Laquan McDonald video more than three years ago. Judge Dow ended his historic order with three simple words: Let us begin. You can read the entire order and the full consent decree below. Read the full final consent decree below. This post has been updated since publishing.